After identifying, training, and branding our whiz kids we we hope they serve the school community by helping Mercy students and staff with iPad issues and initiatives. 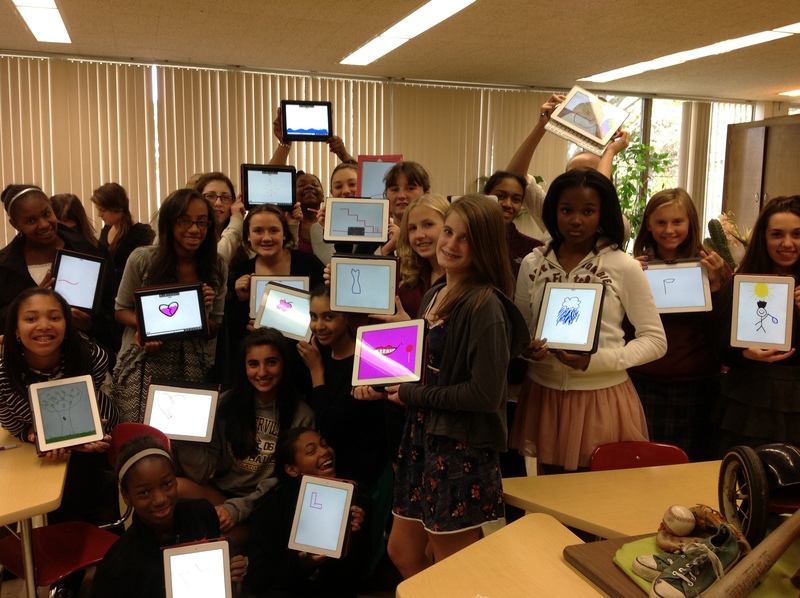 They would also play a special role in orienting next year’s iPad newbies to the iPad academic workflow at our school. It’s all very exciting– the applications will go out in a couple of days! Photo by Jennifer Schuck, taken in her Design Foundations class.